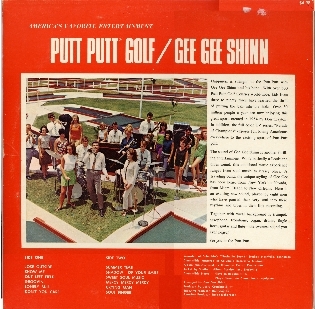 Simply put- GG Shinn is a preeminent vocal stylist and the ultimate blue eyed soul singer who has the vocal chops, range and phrasing rarely found in one package. There are musicians and there are entertainers. But, it is a true phenomenon when a really great musician is also a great entertainer. This singer, horn player and dynamic stage persona never fails to have the audience begging for more. In 1956, G.G. started his first band, "The Flat Tops", in his hometown of Franklin, Louisiana. In 1963, he joined "The Boogie Kings" and his professional career began. Their album, recorded in 1965, is a highly sought after collector's item. In 1966, G.G. formed "The Rollercoasters" and recorded two R&B albums. A move to Los Angeles provided a new opportunity. It was there that the group "Chase" hired G.G. to record an album. Completed in only one week, the album was nominated for a Grammy award in 1972 and G.G. 's reputation as a great musician grew. After performing countless shows around the world, G.G. decided to open up his own night club in Alexandria, Louisiana. Appropriately named G.G. 's Club, he personally manages the band and performs on a regular basis.